Household Storage is used to store personal belongings such as furniture, clothes, and files. It provides extra space in order to de-clutter garages and homes. It is a convenient solution to life style changes such as marriage, retirement, divorce or a death in the family. Household storage is also used to protect possessions while moving, remodeling a home or during the sale of a home. Commercial or Business Storage helps businesses maintain low overhead by providing warehouse space at an economical price. Examples of businesses that find this storage useful are pharmaceutical representatives, retail stores, restaurants, contractors, landscapers, etc. Equipment and sale items are stored securely and conveniently. 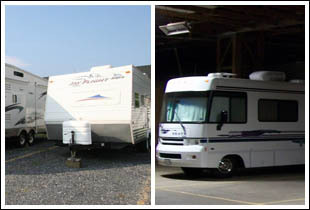 Parking Storage available for boats, RVâ€™s, vehicles, tractor trailers, and motorcycles. Outside and inside spaces are available, both of which are behind a security gate. This storage provides an alternative to parking recreational vehicles at home. Tourists that visit the area use this storage to safely store their extra vehicles while visiting the area. Record Storage is used by both individuals and businesses to store and organize documents. 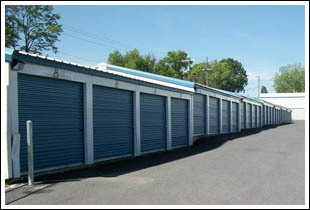 This allows businesses to free up valuable office space and use a storage unit to organize their files for easy access. Medical offices, law offices, and document shredding companies find this storage most convenient.